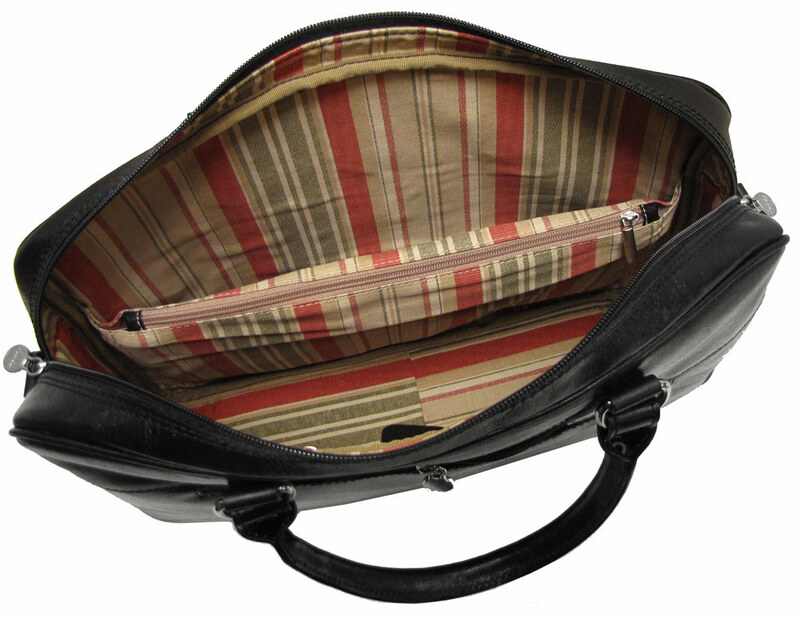 Available in 6 color options – Black, Blue, Grey, Olive (Honey) Brown, Tuscan Red and Vecchio Brown. 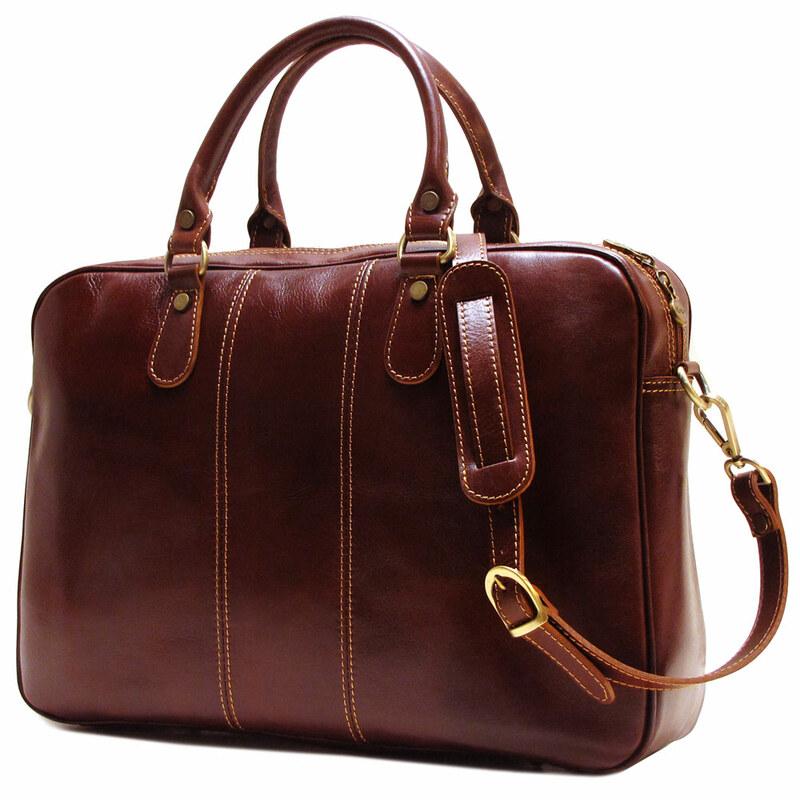 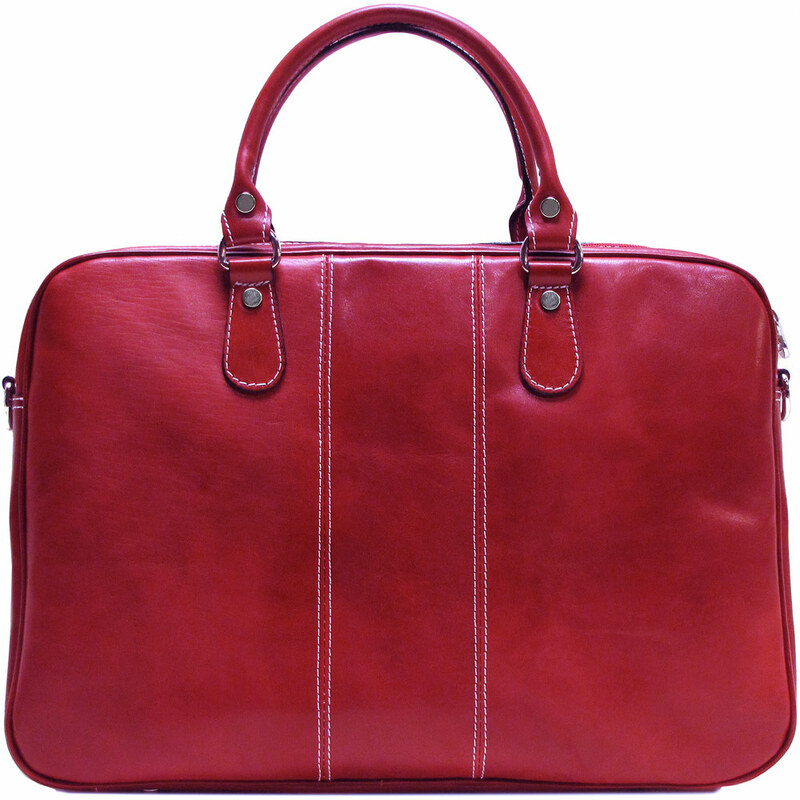 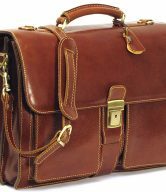 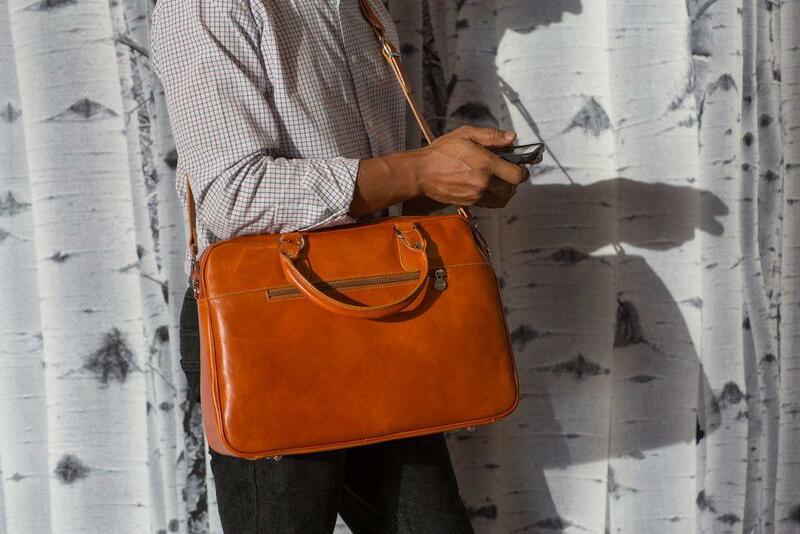 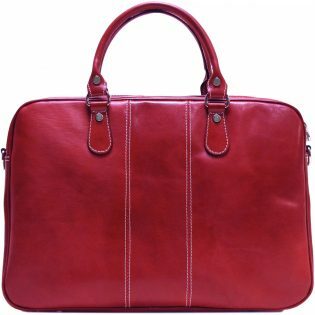 The Venezia Slim Leather Briefcase is our most popular men’s leather briefcase. 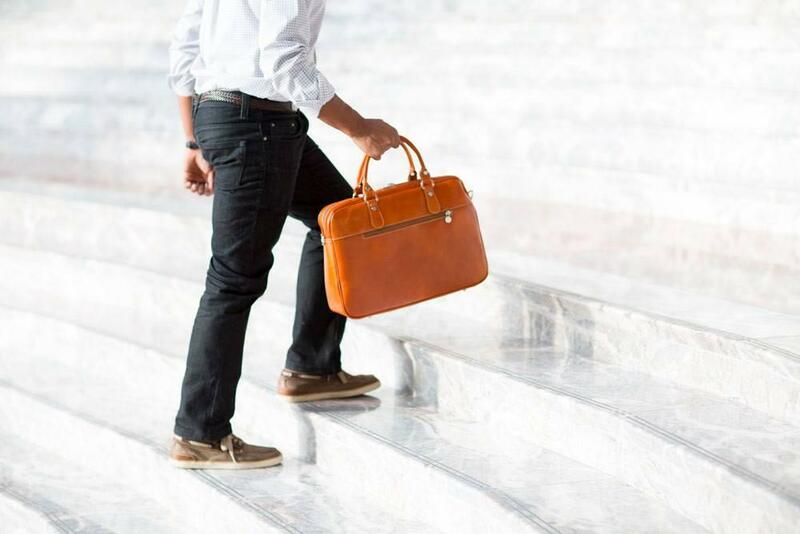 This sleek briefcase is expertly crafted in Italian polished calfskin leather, with an interior zip pocket and a tablet sleeve that offer ample storage for your documents and workday needs. 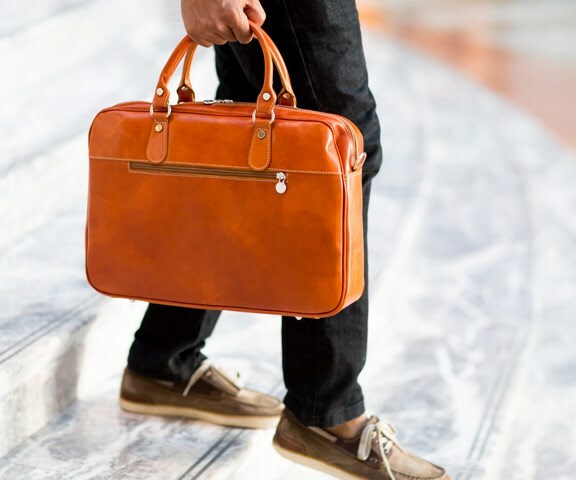 Carry it by the top handles on your morning commutes, or wear it messenger-style with the detachable shoulder strap, this all-business slim leather briefcase will exude sophistication and add the perfect polish to your go-to suit. 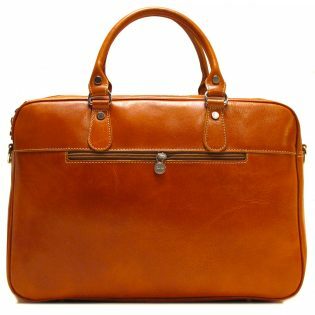 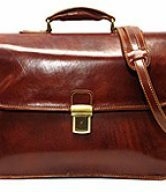 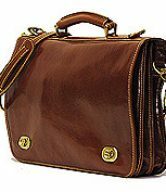 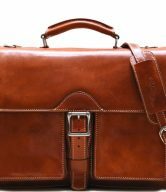 The Venezia Slim Leather Briefcase comes in your choice of six color options – Black, Blue, Grey, Olive (Honey) Brown, Tuscan Red, and Vecchio Brown.